We suspect our child has a learning difficulty, possibly Dyslexia or a related Specific Learning Difficulty SpLD, how can we be sure? If your child appears to have a learning difficulty and you suspect that they could be dyslexic you may decide to pay for an independent Educational Assessment to answer your suspicions. An Educational Assessment will give accurate details of a person’s underlying intellectual ability, their learning strengths and difficulties as well as a measure of their attainment in reading, spelling, writing and numeracy. There are many screening tools available on the internet that claim to assess for dyslexia, however, screening tools are only a guide and are not a replacement for a full diagnostic educational assessment. My child is already receiving some additional support at school, will they not arrange for a dyslexia assessment to be carried out? Sometimes but not in all cases. Dependant on your child’s difficulties and the circumstances, a child may be seen and assessed by a school Educational Psychologist or the Local Authority Special Needs Support Service. These services have limited resources and are often only available to children whose needs are considered severe. In some cases a child may be considered ‘not bad enough’ to be offered additional support in school, or to be assessed. 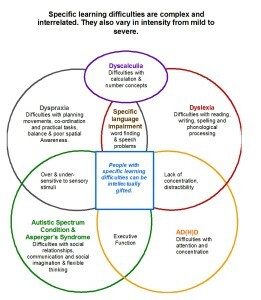 How will an assessment help my child if they are dyslexic or have a related SpLD? Following an Assessment with Brainwaves Education Ltd you will receive a full written report. If your child does have a Specific Learning Difficulty the information contained in this report can then be used by teachers and parents to ensure that the teaching and learning needs of your child are met and guide the school to your child’s underlying profile. Early identification and intervention is important when supporting your child’s learning needs. The report will also offer advice on teaching resources and entry points for specific programmes that support home learning. Brainwaves Education Ltd is able to provide an Educational Assessment suitable for children from 7 years through to adults. However it is never too later to have a diagnostic assessment. For students at, or about to enter FE/HE level an assessment for either Exam Access Arrangements or the Disabled Students Allowance may be more appropriate, particularly if the student’s needs have been met in school but without a formal Assessment being carried out. Someone has mentioned to me that my child may be exhibiting behaviours of Visual Stress, is this the same as Dyslexia? 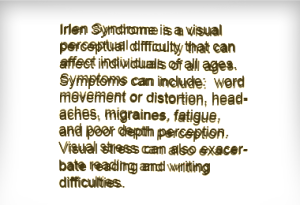 No, Visual Stress is not the same as dyslexia but it is more common in those who have Dyslexia. Visual Stress, simply explained is sensitivity to visual patterns and can cause discomfort when reading or looking at patterns. It can present itself in various ways including reading difficulties, headaches and eye strain. Some of the symptoms of Visual Stress are blurring of print, letters changing size or shape, movement of printed text or jumping lines and losing your place, tiring easily whilst reading, there are many others. For more information on the signs and symptoms of Visual Stress and the different types of examinations and testing available, you are advised to contact your local Optometrist. For the Woodbridge and Cambridge area you may wish to contact eyepractice or the Eye Clinic at Anglia Ruskin University. If during the course of an Educational Assessment with us, our Assessor suspects that your child may be suffering from Visual Stress they will discuss this to you. Further investigations for this condition may be part of their recommendations included in the report. I have been told that my child may have a Specific Language Impairment but I also have concerns regarding his literacy development, are you still able to assess him for dyslexia? Yes, it is the norm rather than the exception that specific learning difficulties commonly co-occur and during the assessment the child may present with elements of more than one specific learning difficulty. In some cases the difficulty may lie in dyslexia and or a specific language impairment, (SpLI). 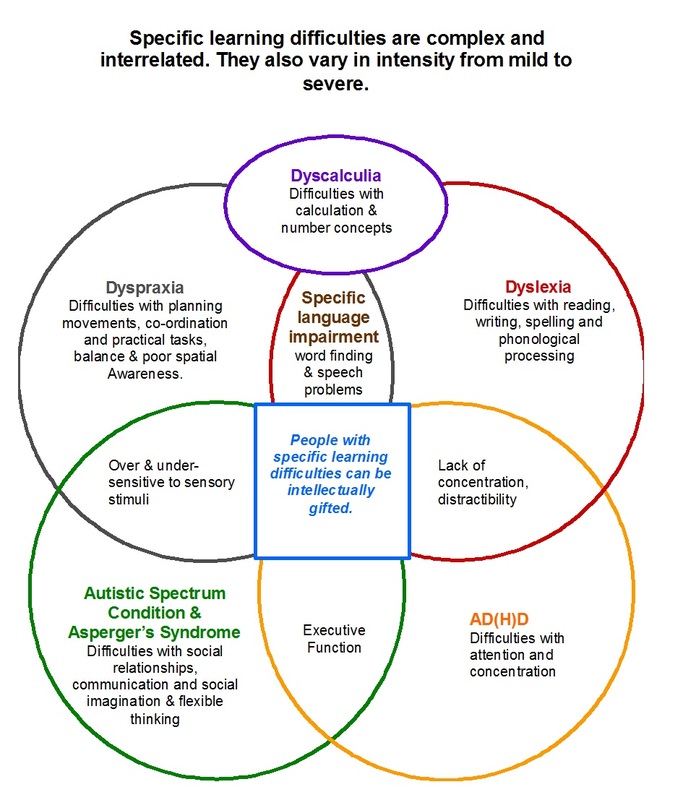 Currently, there is some disagreement as to whether these are separate learning difficulties or different manifestations of the same difficulty. If you have concerns regarding a Specific Language Impairment and your child has not previously been assessed by the Speech and Language Therapy Services, in certain instances Brainwaves Education Ltd may suggest that your child is assessed by a Speech and Language Therapist. You may be able to arrange for this to be done through the NHS; you will need to ask your GP if he can refer your child, or speak to a member of staff at your child’s school about this. Alternatively you may wish to seek the services of an Independent Speech and Language Therapist in your area. To help you with your search for a Speech and Language Therapist, below is a weblink to COMMUNICATE, an independent speech and language therapy service which is based in Stowmarket and serving the East Anglian region. We do not personally recommend any service/company listed on this website. We simply want to make it easier for you to connect with services which may help. Where are these assessment carried out and how much do they cost? Our Assessments take place at near Colchester Essex. Each Assessment lasts approximately 3 to 4 hours depending on the age of the student. This is because we conduct a thorough pre-assessment interview, followed by an assessment and a post-assessment feedback consultation. (In some complex profiles the feedback consultation may take place over the phone or by Skype at a later time of your convenience).The cost is £510. Assessments may take place at the student’s school where there will be an additional travel cost, but we do recommend the quiet atmosphere of our location as the most suitable place.